With huge regret informs that the actress Patricia English died on 13th August 2016 in Cornwall, England. 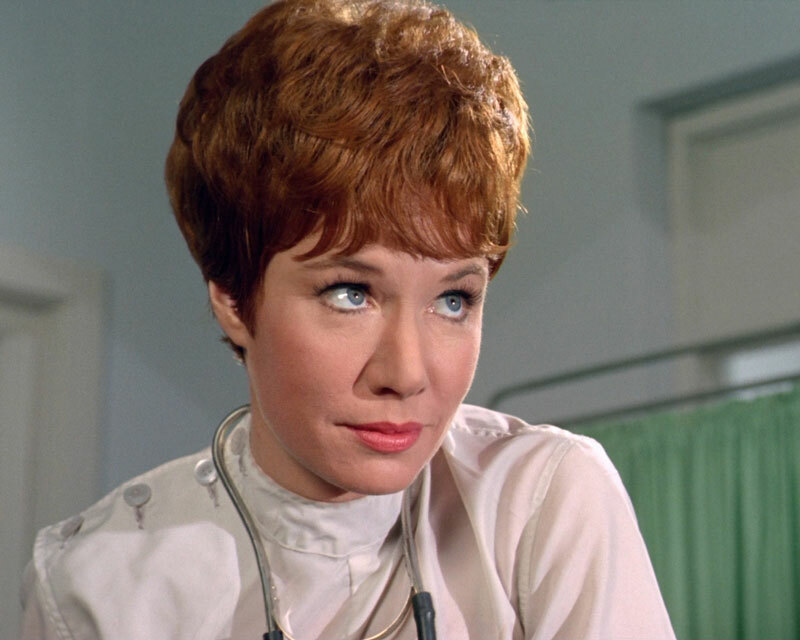 Carla Berotti in "Mission to Montreal" (1962), Marion Howard in "The Secrets Broker" (1964) and Dr. Betty James in "Never, Never Say Die" (1967). And although I have not seen Patricia in other TV serials, her style of play, I liked so much that I could watch, for example, the episode "Never, Never Say Die" only for it. I think for the Russian audience her image was one of the most memorable female in 5 season along with such actresses Sally Nesbitt, Anna Quayle and Charlotte Rampling. Reason was simple - it was just unusual to see such kind of women as Dr. Betty James on Russian screens at the time, and the audience was intrigued. Thanks from the heart for her talent and the roles that actress Patricia English has presented to us, the audience. That is rather sad. I recall her role in Never Say Die quite vividly. She was brilliant!